Coffee culture is so in right now. To put it in perspective for a local audience, imagine the look on your face when ordering a Guinness and being given some monstrosity that’s served in a single pour with a generous 2-3 inch head, maybe a splash of blackcurrant cordial for good measure? Ok, now we understand each other! The Italians take their coffee seriously and your chances of getting that Frappuccino with extra cream are very slim. First things first; a “bar” is really a café and a “caffé” is really a coffee. So you might get a few looks if you proclaim you’re headed to the café. So don’t get overly excited by the number of bars highlighted on Google Maps, it’s not what you think! Italians drink their coffee at the bar. You arrive into the coffee bar, head straight up to the till to pay for your coffee, then proceed to the bar with your receipt and wait to receive your coffee. Typically, you’re going to ask for a “caffé” and when you get your shot, you stand at the bar and drink your coffee in no more than 3 sips. You don’t sit down and leisurely enjoy your coffee unless you want to pay a steep premium for the pleasure to do so. 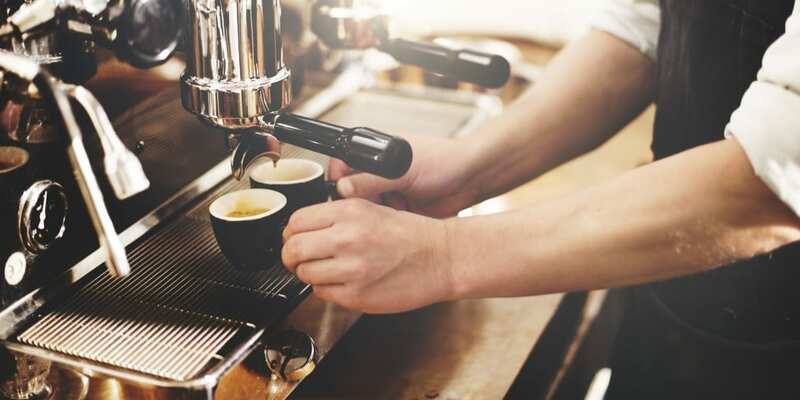 Coffee bars are a quick stop in Italian culture, often referred to as “una pausa” (a pause). There are no takeaway cups; you order your coffee, take a moment, knock it back and carry on! Here’s the deal; do not order a cappuccino after noon. No, Seriously. A cappuccino is a morning drink. It’s almost considered a meal replacement with the volume of milk and foam and the occasional sprinkle of chocolate. Also, don’t order a latte unless you have a serious hankering for a nice glass of milk. “Latte” literally means milk and expect to get exactly that if you order one. Caffé: This literally translates to “coffee”, but in Italy, your “coffee” is an espresso. This is the standard, so don’t expect a giant mug of filtered coffee; it just doesn’t exist. Cappuccino: Espresso topped with hot, foamed milk. It’s a breakfast drink, paired perfectly with a fresh pastry. Caffeé Americano: Dated back to World War 2, when Americans would add a large volume of hot water to their espresso in order to create a larger drink which they could sip on for longer. Caffé Lungo: For anyone that owns a Nespresso, you know where this is going! Caffeé lungo is a “long” coffee with more water. This is different than an Americano as the difference comes from the espresso machine whereby the process is slowed down so there’s twice as much water involved. Caffé Macchiato: “Spotted” or “stained” coffee. 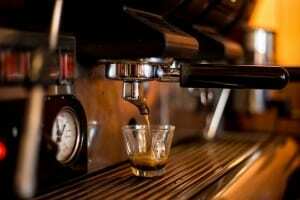 An espresso shot with a splash or hot milk or milk foam. Latte Macchiato: You guessed it; stained milk. A whole lot of milk, stained with coffee. So now you’re trained in the delicate art of drinking coffee in Italy. If you need to get some practice in before you jet off, stop by The Italian Kitchen, the finest Italian restaurant at Dublin Airport! With the most authentic Italian experience in North Dublin, you can practice your new skills at the bar while enjoying ingredients specially selected from our head chef and carefully imported from Italy. Book online to reserve your table now and experience the finest Italian food Dublin has to offer.